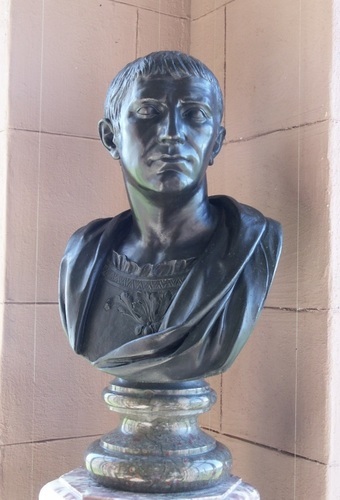 Bronze portrait bust of Julius Caesar, wearing a decorated toga. Mounted on green and rose marble base. Purchased by Doris Duke from Parke-Bernet Galleries, N.Y., June 28 1962, Sale no. 2122 Lot 611 (Berwind Estate from The Elms, where they were located in the Palm Room.